New work may not be as rare as it once was in US regional theatre, but one festival that has championed the form for almost half a century remains an essential launch pad for up-and-coming theatremakers. The Humana Festival of New American Plays at the Actors Theatre of Louisville has just finished its 43rd year and stands as one of the longest running and most prestigious events in the US. Theatre professionals and critics dutifully make the pilgrimage to Kentucky every year. Its final two weekends are distinguished not simply by the work on the stage, but by the networking in the lobby and at area bars and restaurants. Drawn by the work, the Humana Festival doubles as an informal theatre conference structured primarily by performance times, rather than plenary and breakout sessions. Until last month, I’ve only managed one visit to the festival over the course of my career. That was 1998, and the plays on offer included the premiere of Donald Margulies’ Dinner With Friends, which went on to win the Pulitzer Prize. My recent March trip was a happy accident, as I was in Louisville for work. While I wasn’t there for the final networking weekends, I did get to catch up with Chay Yew of Victory Gardens Theatre in Chicago and my one-time colleague at Geva Theatre in Rochester New York, Mark Cuddy, but otherwise the meeting and greeting that characterised my prior trip was absent. What I discovered was that I was attending on College Weekend, an aspect of the festival previously unknown to me. Offering lower-priced ticket packages of four and five plays, as well as a keynote and panels, College Weekend sought to bring in undergraduate and graduate students for much the same experience that industry professionals would subsequently undertake. The largest single group this year was 30 students from the University of Kentucky. 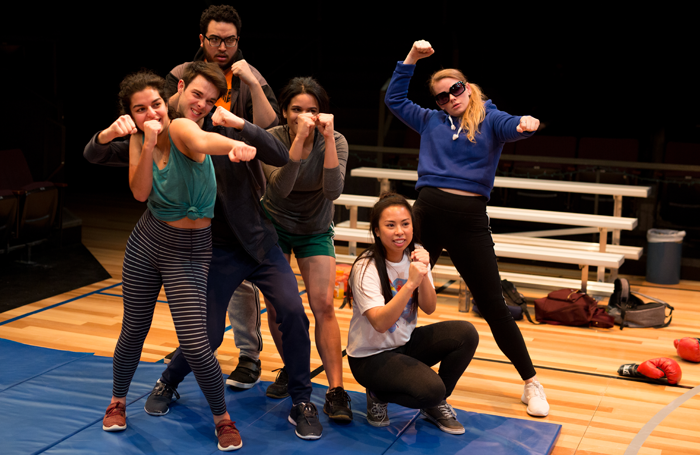 Sitting in the various Actors Theatre venues during College Weekend, I managed to see three plays – How to Defend Yourself by Lily Padilla, Everybody Black by Dave Harris, and The Thin Place by Lucas Hnath – it was impossible to miss the youthful influence on the audience. While the majority of the audience resembled that found at most theatres, the large pockets of younger people were visibly more diverse and vocally more responsive, not in the raucous manner of a rambunctious high school matinee, but in the knowing appreciation of theatre aficionados in their late teens and early 20s, primed for new work by younger authors. The communications office at ATL subsequently told me that College Weekend was an interdepartmental effort between the education, sales, and marketing departments, to boost the college audience. As an accidental College Weekend attendee of a certain age, I have to say it was vivifying to see theatre with an energetic, engaged audience that noticeably altered the mix in the theatre, primarily by age, but also by race and ethnicity. My experience was informed by theirs. The College Weekend attendees profoundly affected my experience that weekend, making it a far different theatregoing experience than the one I’d had two decades earlier. It would be wrong to suggest that one was better than the other. But if I manage a third visit in the coming years, I will be torn between choosing to sit in a congregation of my peers and in a group that more closely models on the person I was in college, eager to absorb as much theatre, and as much about theatre, as I possibly could. Most theatre professionals recognise the value of bringing in younger patrons, especially those seeking careers in the theatre, as essential to the continued welfare of the industry. But there’s another benefit to bringing in such a group – that it has the effect of improving the vitality of the entire audience, broadening the range of responses to the work and breaking down the homogeneity that too often affects that essential element of theatre: the audience. Tim Blake Nelson, perhaps best known to many as an actor in films by the Coen Brothers, but also a playwright of long-standing, premieres his newest work at the Public Theater on Tuesday. Socrates, an account of the philosopher’s rise to prominence, features Michael Stuhlbarg in the title role under the direction of Doug Hughes. First seen on Broadway in 1987 with John Malkovich and Joan Allen in the leading roles, and revived Off-Broadway in 2002 by Signature Theatre with Edward Norton and Catherine Keener, Lanford Wilson’s Burn This returns to Broadway. It opens on Tuesday with Adam Driver and Keri Russell as the central characters. Michael Mayer directs. Having traveled from New York Theatre Workshop to the Citadel Theatre in Edmonton Canada and then the National Theatre in London, Anaïs Mitchell’s Hadestown returns to New York, with a Broadway opening next Wednesday, helmed as it has been throughout its journey by Rachel Chavkin. 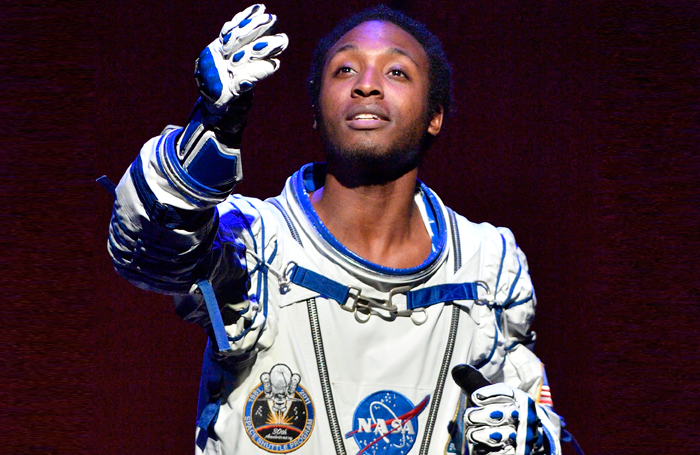 The cast includes Reeve Carney, Andre de Shields, Eva Noblezada, and Patrick Page. 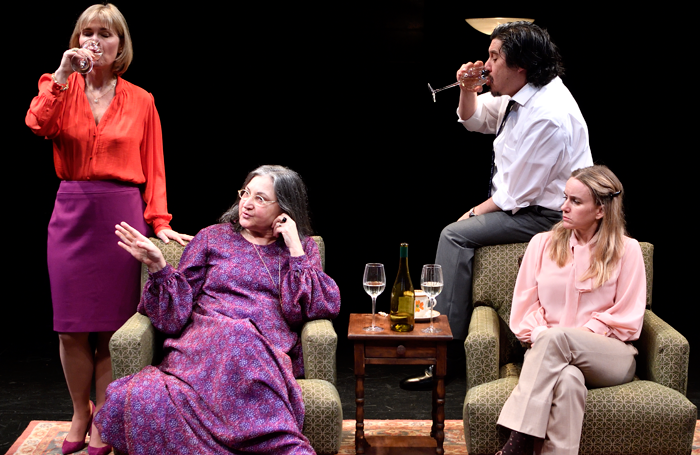 Developed as part of Victory Gardens Theater’s Ignition Festival in 2015 and subsequently given its premiere by the company in 2016, Lucas Hnath’s Hillary and Clinton reaches Broadway this week, opening Thursday in a new production directed by Joe Mantello and featuring Laurie Metcalf and John Lithgow in the title roles.